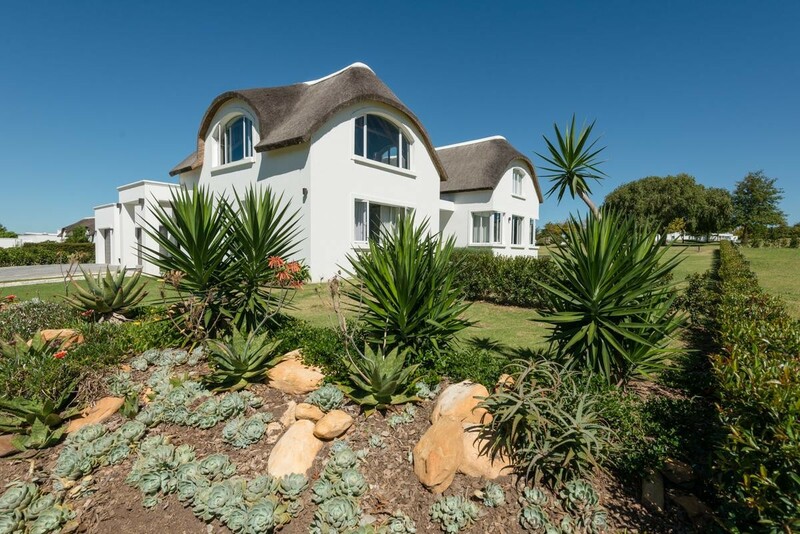 Sign up and receive Property Email Alerts of Houses for sale in Fancourt, George. Enjoy life in this modern masterpiece of design and style with seamless indoor outdoor flow for the avid entertainer. Breathtaking Mountain and Golf course views and full family accommodation make this home a must-have. 2 Bedrooms and 1 bathroom is on the first level another 1 Bedroom en-suite can be used for a study. 2 Bedrooms both en-suite with walk in cupboards are on the ground level. The open plan kitchen and living areas as well as a Media Room with a gas fireplace opens up with Stack-Away Sliding Doors to the Patio. All bedrooms and Living Areas are wired for Internet and TV .The triple oversized garage has got direct access to the laundry. Extras include a Unique Natural Rock Gas Fireplace in Main Living Area, Wood Flooring for All Bedrooms and Living Areas, Quartz-Carpet Flooring in All Bathrooms, Stairs and Outside Living Area, Oversized Walk-In Closet with Easy to Reach Hanging System and Built-In Shoe Racks in the Master Bedroom, LED Lighting through out, Electricity System is Solar Ready, Caesar Stone Counter tops in the kitchen, Gas cook top, Electrical 90cm oven, Built-In second oven and Microwave (Modern 6th Sense technology) a wine cabinet and many more features that makes live easy. Sign-up and receive Property Email Alerts of Houses for sale in Fancourt, George.